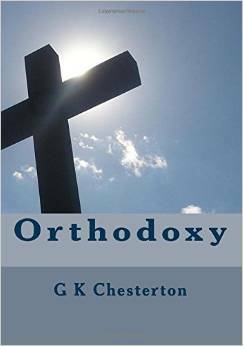 Known as the most original work about 'being Christian' & in the tradition of CSLewis' "Mere Christianity" G.K. Chesterton's brilliant work will take hold of you and your faith and make it new again. If you need a faith-injection to jump-start your belief, buy this book. If you like being shown in simple yet clear terms how to believe then Orthodoxy will take you on a journey you never imagined. Our edition is the size of a Hard Cover for easy reading!